australia-casino.org does not aim for any of the information contained on this website to be used for illegal activities. australia-casino.org is an independent gambling directory and information service which provides the most comprehensive experience and gambling expertise. australia-casino.org shall not be responsible for any misinformation expressed and implied. Whilst we make an effort to keep our website free of errors or omissions, australia-casino.org makes no warranty for the accuracy of the information provided and that of third party websites linked to and from our website. australia-casino.org takes no legal responsibility for errors in these materials. australia-casino.org users are responsible for determining whether it is legal for them to play any particular game or place any particular wager. australia-casino.org does not guarantee the accuracy of any item within these materials. australia-casino.org will not be responsible for any damage, which may result from the use of these materials. Any materials and links on this website shall be used at your own risk. australia-casino.org including our team, do not take any liability for any damage or loss caused, arising directly or indirectly from the materials of this website. 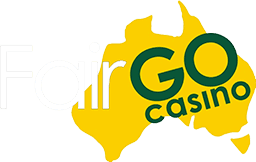 The information on this server is subject to modification without any notice and does not represent an obligation on the part of australia-casino.org in the future. Unless identified with the label "Copy Freely", the content of this website, are copyrighted by australia-casino.org. In consideration of this authorization, australia-casino.org users agree that any copy of these documents one makes shall retain all copyright and other proprietary notices contained herein. australia-casino.org users may not: copy, transmit or adjust information of this site in any way. Note that any product, process, or technology in this document may be the subject of other intellectual property rights reserved by australia-casino.org and may not be licensed hereunder. australia-casino.org tries to provide complete, accurate, and current information. australia-casino.org reserves the right to deny any requests for a content removal at its sole discretion unless the content could be considered as false, vulgar, hateful, obscene, sexually-oriented, threatening, discriminatory, invasive of a person's privacy or in any other way in violation of any International law. australia-casino.org contains hyperlinks to third-party websites, which have their own terms and conditions wherefore we advise you to read them in detail before you start using those third-party websites. Furthermore, we do not exercise any influence on the information therein, and we are not responsible for its correctness. It is the responsibility of the owners and webmasters of those websites. We are in no way liable for any damages that you may incur in connection with your use of australia-casino.org or the information published on it. We strive to maintain the links, articles and details contained in this website up-to-date, but we are not liable for any errors or discrepancies made by third parties. We do not warrant the availability of satisfactory quality of this website for any specific purposes of use. australia-casino.org was created for information purposes only and no gambling services are offered on it. We shall not be held liable or responsible for any losses or expenses you may experience after following links or banners to third-party websites.